The majority of the caregivers of the children that Thandanani works with are females with little or no formal education. Many are also pensioners. As a result, these caregivers are usually unemployed and have very limited opportunities for income generation. In many instances, they do not have the funds to meet their most basic survival needs or even to obtain the documentation required to apply for the state grants they are entitled too. To address some of these challenges, Thandanani undertakes a range of activities aimed at strengthening the material well-being of the families we work with. In this newsletter, we take a closer look at some of these activities. In the initial stages of our support, Thandanani provides families in dire need with basic household equipment such as cookers, pots, and bedding to ensure that they have the basic “tools” needed to provide for the children in their care. We then work with the family to secure any state grants for which they may qualify. All the families Thandanani works with have at least one orphaned child in the family so one of the first things we do is assist these families to formally foster these children. This ensures that the children have a family that they can call their own and that the family receives support from the state in meeting the basic needs of the children in their care. While we are assisting families to secure the grants for which they qualify, Thandanani provides those families in dire need with food vouchers or food parcels to see them through until their grants are secured. Once the family receives their grants, we assist them to budget for their needs using this grant income. We also assist families to establish food gardens and to grow vegetables to supplement their nutritional needs. In many instances, families grow more than they can consume and so sell their excess produce to generate additional income for the family. Through these activities, Thandanani strengthens the ability of families to provide for the basic needs of the children in their care. A growing number of unemployed women in Msunduzi, are investing in their future through community based self-help groups focused on financial and social empowerment. Unemployed, black and female. That describes most of the members of Thandanani’s “self-help” groups. Yet instead of accepting a position at the bottom of the social and economic ladder, they are proving their capacity for self-reliance, personal empowerment and social innovation. 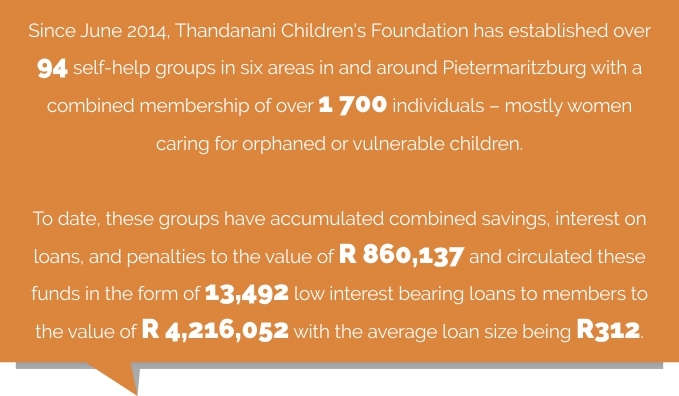 Since June 2014, Thandanani Children’s Foundation working in partnership with Sinamandla, another local non-governmental organisation, has established over 94 self-help groups in six areas in and around Pietermaritzburg with a combined membership of over 1 700 individuals – mostly women caring for orphaned or vulnerable children. To date, these groups have accumulated combined savings, interest on loans, and penalties to the value of R860,137 and circulated these funds in the form of 13,492 low interest bearing loans to members to the value of R4,216,052 with the average loan size being R312. “In a country where over 55% of the population and more than 66% of children live in poverty, this is a remarkable feat,” says Thandanani’s director, Duncan Andrew. By saving as little as R2 to R5 a week each self-help group accumulates a pool of funds that they loan to their members. 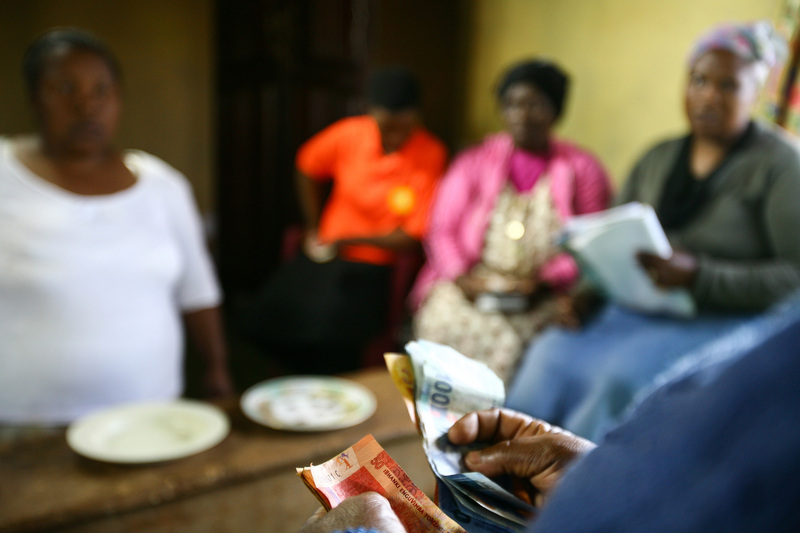 Members generally use these funds to meet basic needs or to start income-generating project for themselves. As loans and interest are repaid, so the group’s funding pool grows, increasing the amount available for future loans and projects. 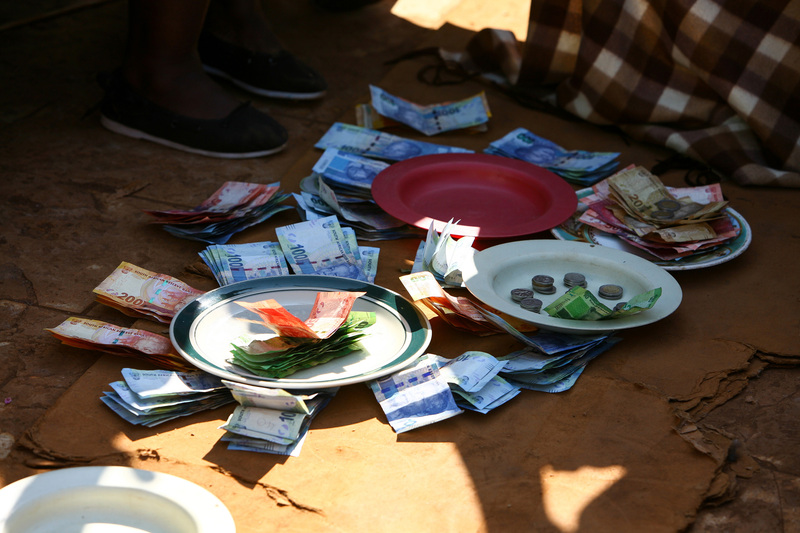 Some members take loans in order to kick-start micro-businesses such as spaza shops, which help to boost the collective family income from grants. Most, if not all, members borrow funds to renovate or extend their houses, purchase large household items such as fridges or stoves, or pay for school uniforms, transport, and health-related needs. Some even capitalise on the resources available to initiate co-operative income generating projects where they work together to generate income as a group. The groups, which each comprise between 15 and 20 individual members, form part of Thandanani’s efforts to strengthen the material well-being of families caring for orphaned and other vulnerable children. Training and capacity-building is provided through community facilitators to improve their self-confidence and to enhance their financial literacy and organisational skills. Once the groups are up and running, the NGO facilitators then withdraw and let the groups regulate themselves. Each group then sets annual action plans and implements its own activities and projects within the community. While the ostensible objective of the group is to save money, and empower families to meet their immediate material needs, the benefits are more far-reaching and point towards the potential for both individual and community renewal and development. Thandanani SHG facilitator Bheki Dladla said when he was introduced to the concept in 2014 he was sceptical. “It was not clear to me that it would be successful,” he said. After visiting Msinga, where groups were already operating, he changed his mind. “It’s amazing; it changes lives. Even members were surprised at the change in their lives,” he said. Senior Thandanani Field Worker Philisiwe Ndungu said the real strength of the concept is the empowerment it provides to its mainly female participants. This is another important aspect of the self-help model, says Sinamandla co-founder, Xolile Manyoni. Once a group is running independently, it can work towards becoming a member of a Cluster Level Association (CLA), where the SHGs are linked together at a broader community level. Each SHG elects two or three representatives to the Cluster, which takes up social and economic issues within their community that are important to them as a larger collective. Manyoni said among the principal outcomes of the SHG model – after the obvious economic benefits and the development of trust and social bonds – is the growth of “the political”, with a small “P”. “The women members take control of their lives, find their voices and start to ‘own’ issues,” she says. “They can see that their households have been helped by savings and now it is time to look beyond and see how to bring benefits not just to individuals but to the entire community. There is a ripple effect. “It’s a beautiful thing – the creation of caring, sustainable communities,” she said. For all the countless and long-term benefits of the model, the costs of implementation are remarkably low and prove that effective interventions do not always need large outlays of capital, says Manyoni. 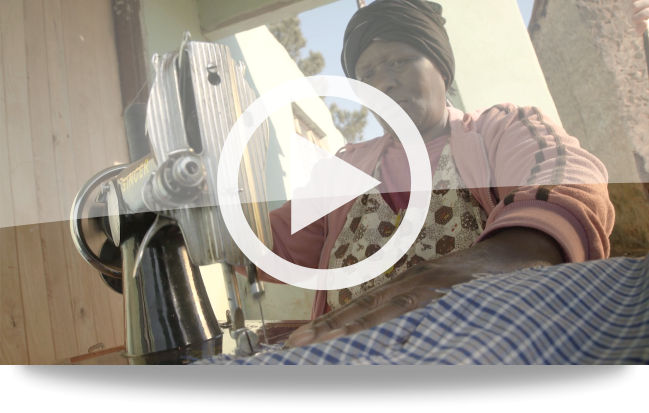 Click on the video link below to learn more about our Self Help Group Programme.